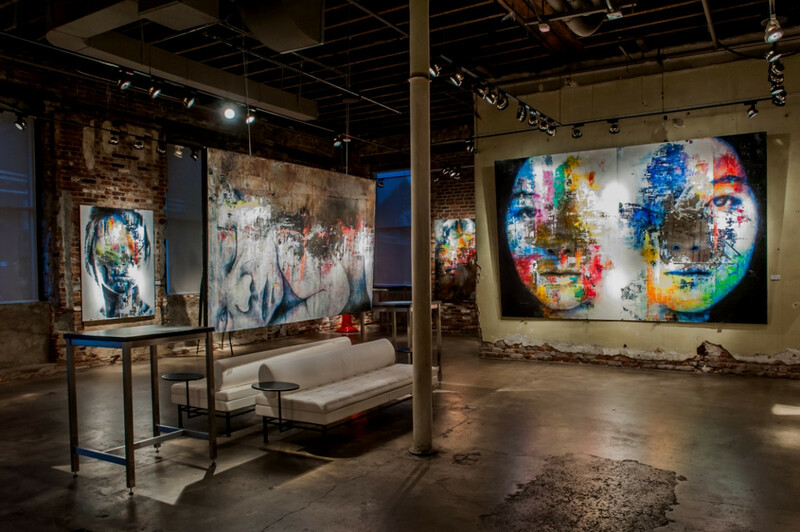 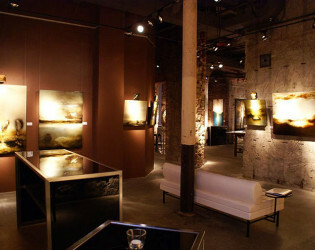 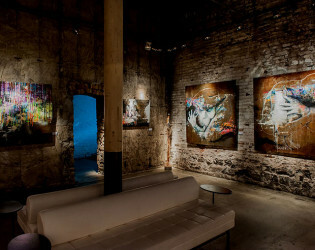 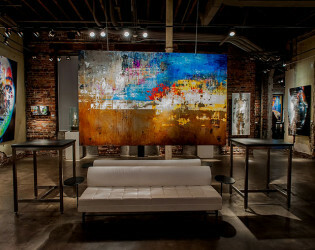 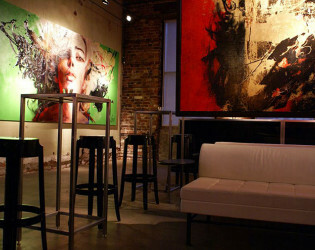 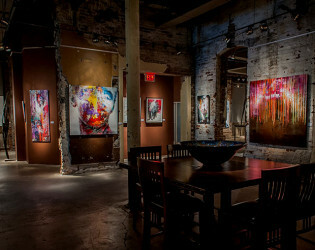 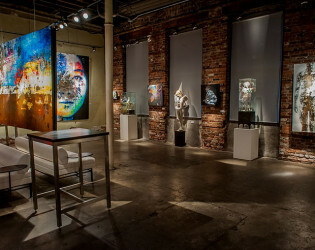 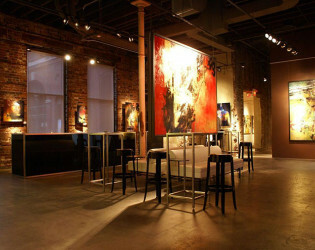 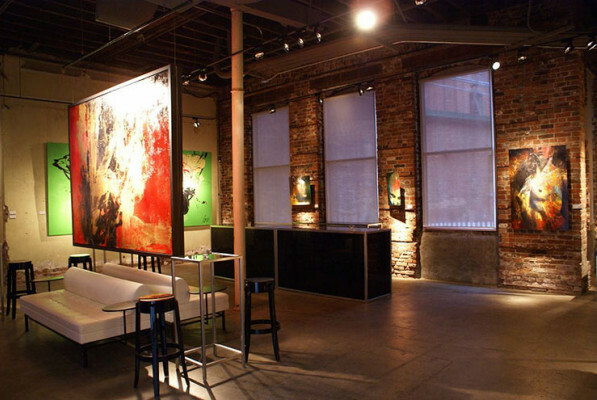 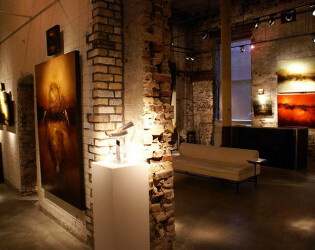 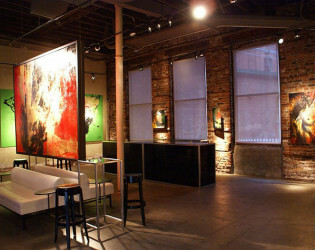 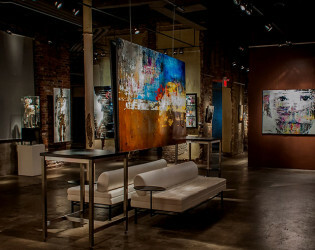 Located in the heart of the Historic Distillery District, the Thompson Landry Gallery is an independent Gallery. Incredible spaces for corporate, social and wedding events, and exclusively featuring the contemporary artists of Quebec, the galleries are housed in a 150 year old space with 14 foot ceilings and stunning limestone walls. The larger of our two Galleries, the Cooperage Space, is housed in a beautiful 4300 square foot original historic building in the heart of Toronto's Distillery District. 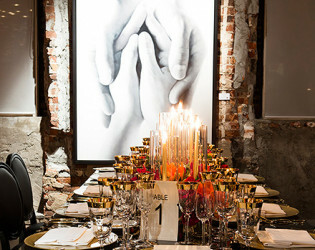 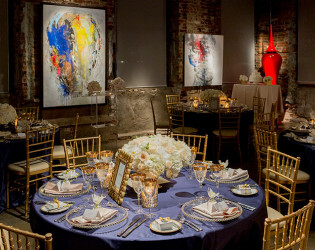 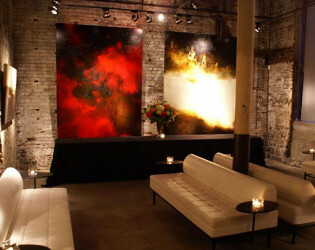 With its exposed brick and plaster walls, along with its unique layout, this sophisticated and rustic space is the perfect backdrop for any planned event. 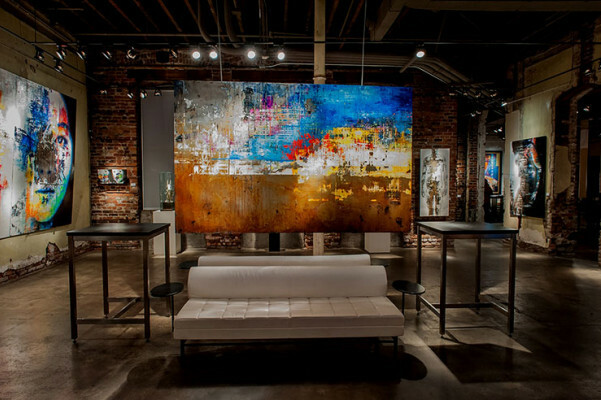 The original architecture is highlighted by the Gallery's ever changing display of contemporary Quebecois paintings and sculptures. 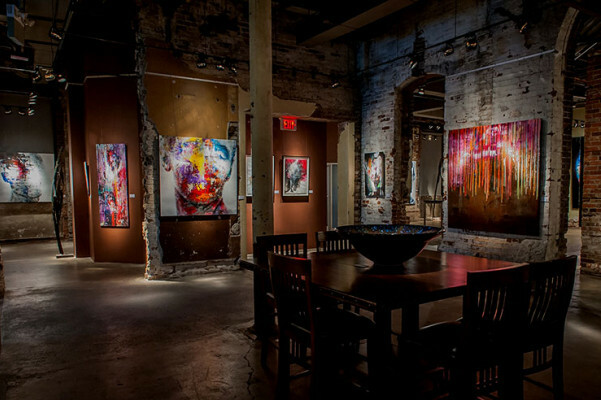 Outfitted with a finishing kitchen a Bose ambient sound system and contemporary furniture, the Gallery is appropriate for many types of functions, including: beautiful seated dinners, cocktail receptions, corporate gatherings and meetings, business launches and conferences, wedding ceremonies and private celebrations. 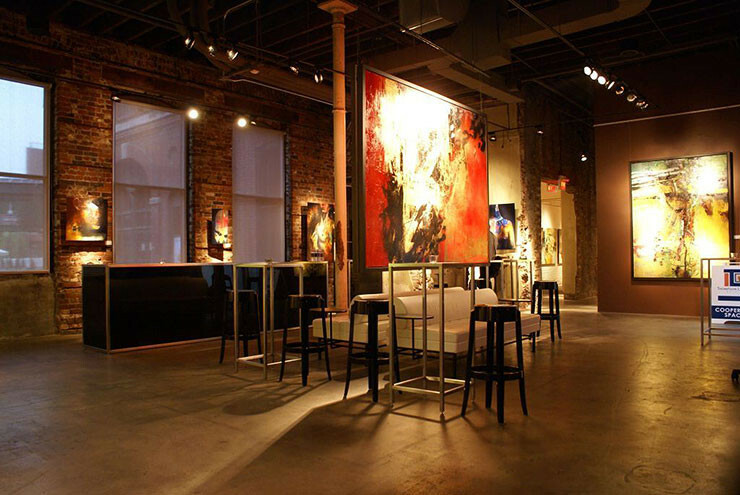 Separated into three distinct spaces with a casual flow in between, the Gallery is ideal for larger events with the need for multiple functions. 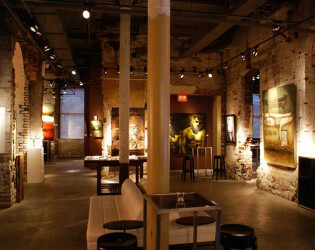 This experience can be furthered as the Cooperage Space includes patio access off Gristmill Lane. 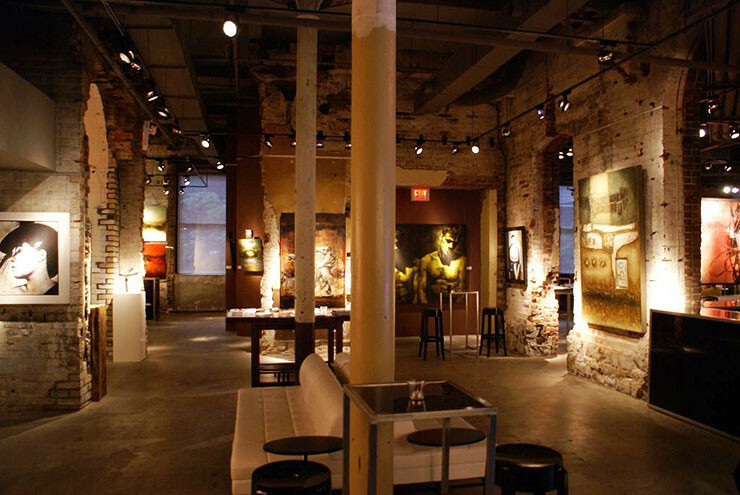 With the main room overlooking the District’s Trinity Square and ideally located on the main street, your guests are exposed to the history and beauty of the Distillery District. 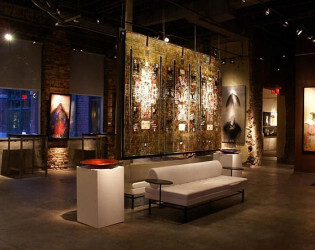 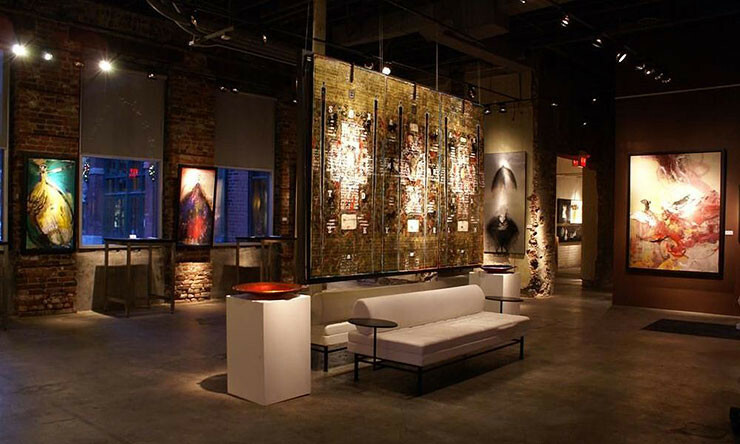 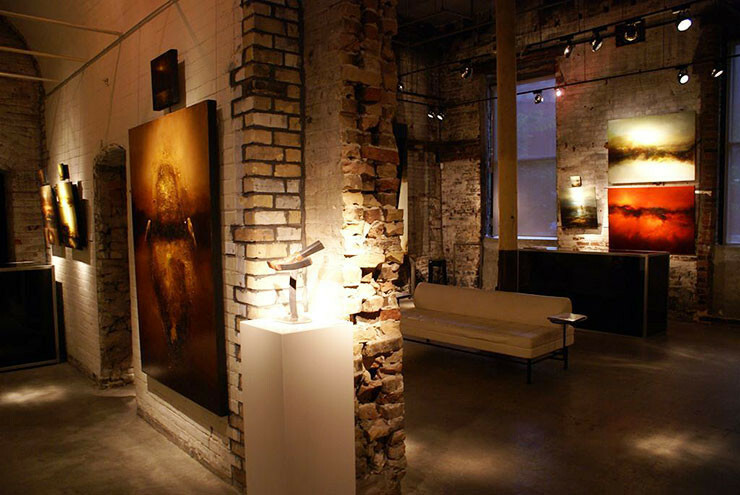 Opened in June 2009, the Thompson Landry Gallery Cooperage Space is an exciting new addition to its original gallery located in the Historic Distillery District. 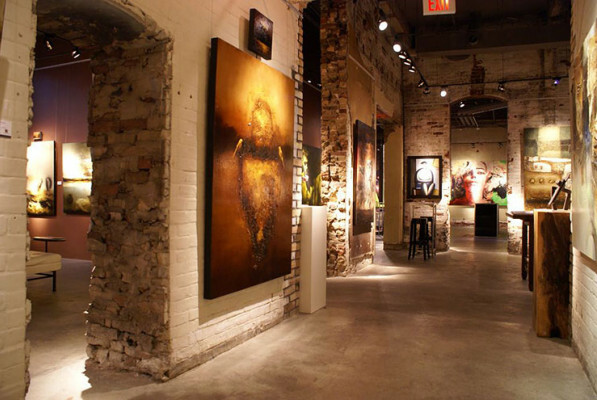 This additional 3300 square feet of gallery space provides the Thompson Landry Gallery with a total of 6000 square feet, to better show their growing roster of internationally acclaimed contemporary Quebec artists. 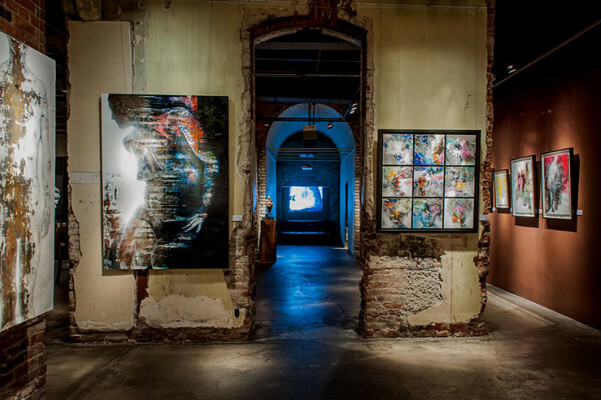 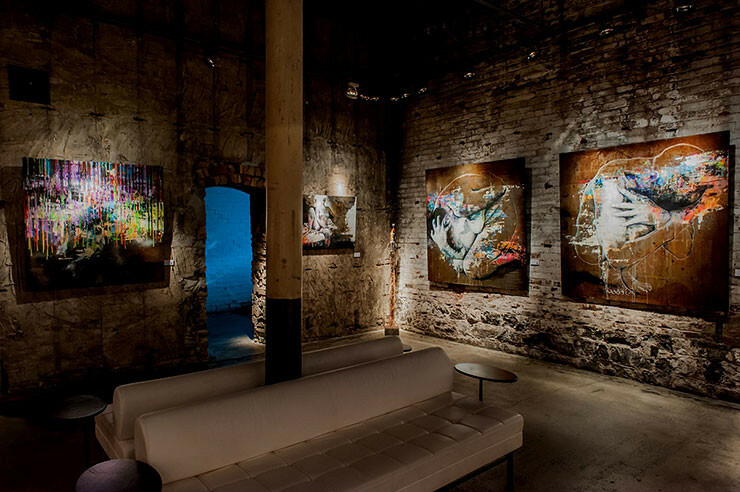 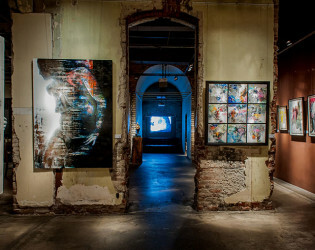 Housed in the Distillery District's gorgeous Cooperage Building, its exposed brick and original plaster walls create a beautiful backdrop for their distinctive contemporary artists. 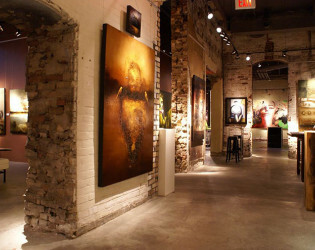 Like the original gallery, located in the Stone Distillery Building, the unique layout and architectural de-tails of the space create a wonderfully unique, and inviting atmosphere for their clients. 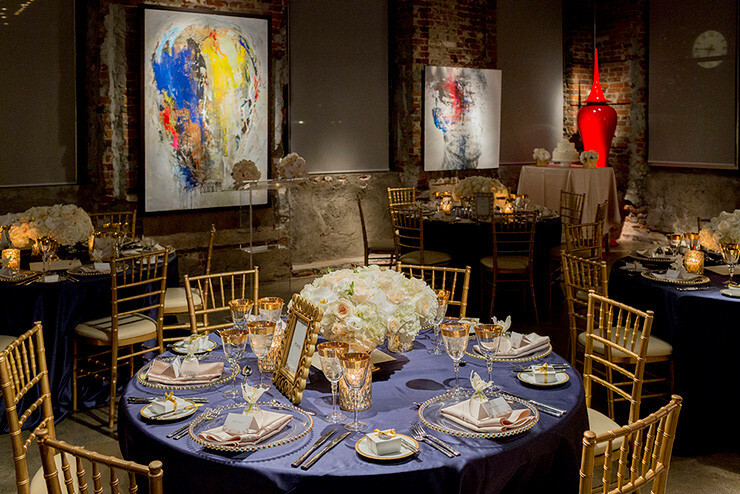 All guests have the option of renting the patio and having the opportunity of having the Distillery District as the backdrop for their event. 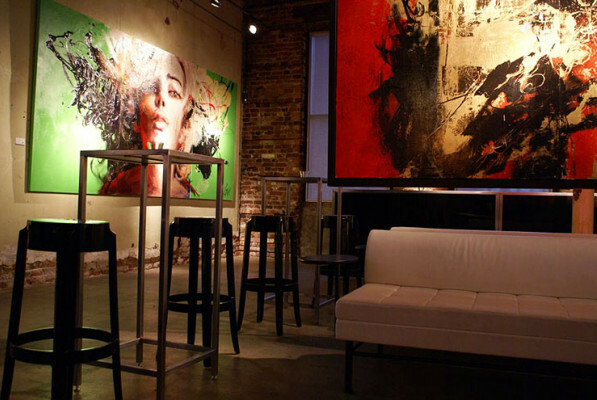 We have in-house furniture included in the rental of the space that includes 3 copas, 7 sofas, an antique table with 8 high top stools and a full catering kitchen with a double convection oven, 5 burner induction cooktop and fridge. 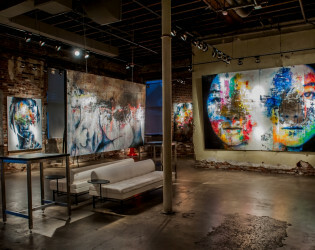 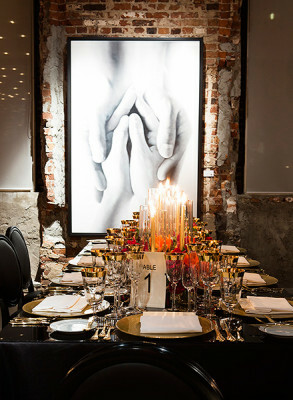 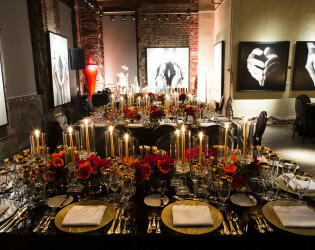 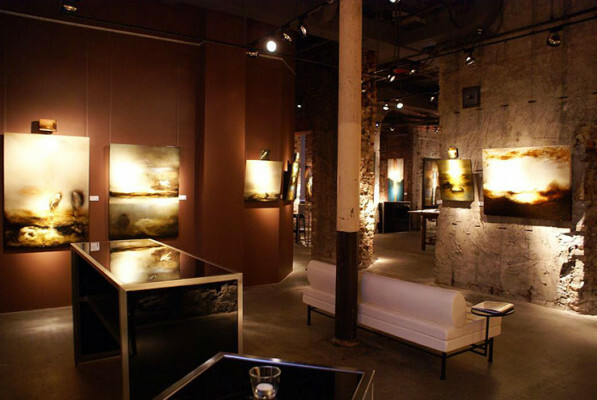 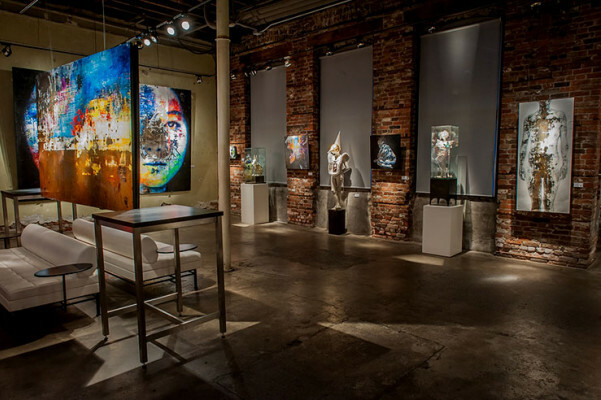 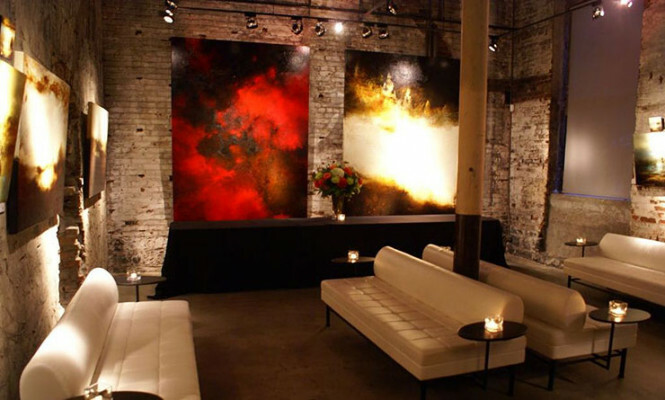 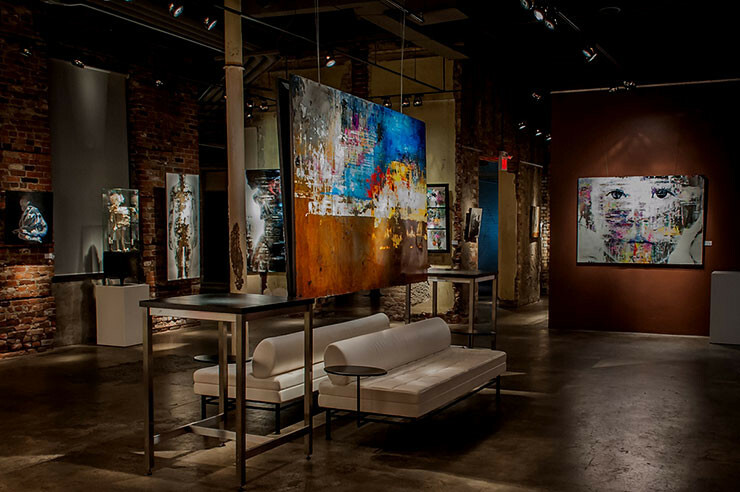 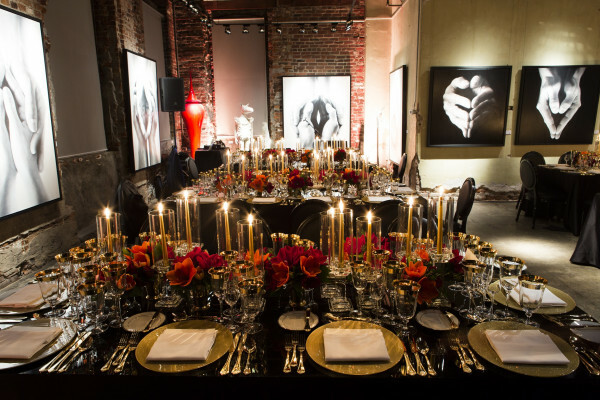 Located in the heart of the Historic Distillery District, the Thompson Landry Gallery is an independent Gallery featuring two superb event venues: the Cooperage Space and the Stone Gallery. 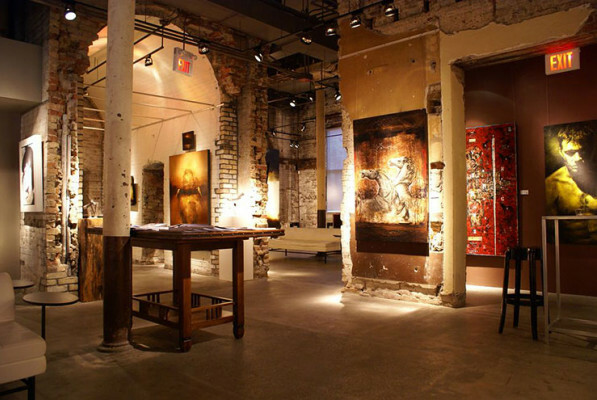 This additional 3300 square feet of gallery space provides the Thompson Landry Gallery with a total of 6000 square feet, to better show their growing roster of internationally acclaimed contemporary Quebec artists. 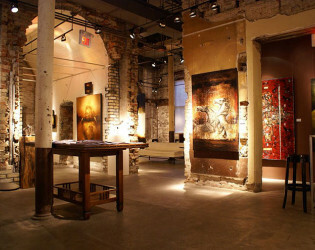 Like the original gallery, located in the Stone Distillery Building, the unique layout and architectural de-tails of the space create a wonderfully unique, and inviting atmosphere for their clients.